Recently, the Ontario Ministry of Government and Consumer Services (Ministry) asked interested parties to submit their recommendations on potential ways to strengthen consumer protection for those individuals who may use alternative financial services (AFS) such as payday loans and quick cash installment loans, as well as those who may find themselves facing debt collectors. As one of Ontario’s largest personal insolvency firms, we see first-hand the devastating financial impact the excessive use of high-cost, subprime lending products has on every day Canadians. As many who read our blog know, I am particularly enraged by the practices of payday lenders and other lending products designed to entrap individuals in a cycle of payday loan borrowing against their own financial best interest. With this in mind, our firm submitted a report to the Ministry outlining our findings and suggestions. Today Ted & I discuss how the payday loan industry is changing and the introduction of alternative lenders offering cash at extremely high interest rates. Alternative financial services (AFS) applies to services such as payday loans, fast cash installment loans and rent-to-own companies. Simply put, these are lending products that provide you with cash and loans at very expensive interest rates. At Hoyes, Michalos we like to call them easy access, high-cost, fast-cash payday loans, installment loans and lines of credit. Although credit cards hold high interest charges, they are less damaging than borrowing from a payday loan company or alternative lender. Servicing payday loans actually takes up 50% of an individual’s monthly income, because most roll the loan over by taking out a new loan every pay period. 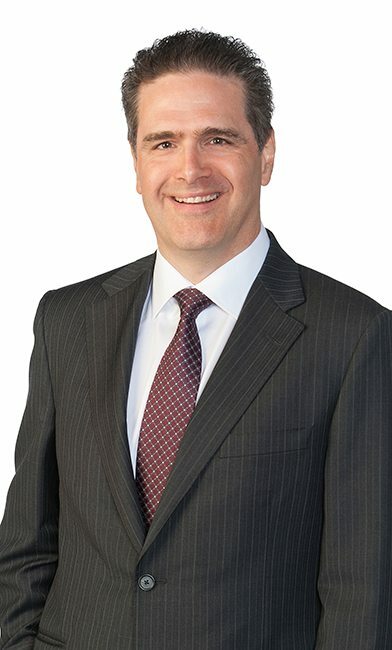 There is an apparent ‘gap’ between usury laws embedded in federal Criminal Code legislation and existing consumer protection laws, both federal and provincial. Payday and similar loan products slip through the cracks in these laws regarding what they are able to charge consumers. Usury is defined as 60% annualized interest in Canada, and yet, payday lenders charge in excess of 390% (based on a maximum rate of $15 per $100 in 2018) interest based on the Ministry’s calculations. The maximum fee that lenders can charge is $15 for every $100 borrowed (as of 2018) however this should not to be confused with a 15% annual interest rate (as of 2018). In fact, the Ministry admits these loans are dangerous for those who cannot afford to pay them back in full. Although we don’t recommend taking on credit card debt, Ted asserts that comparing the two isn’t possible, “it’s not apples to apples, it’s apples to watermelons”. When taking into account the cost of that debt over one year, it becomes apparent just how dangerous these high interest loans can be. Here is how much interest would be paid on a payday loan debt of $3,500 if rolled over for one year. Although opening up a discussion about ways to regulate the payday loan and quick cash installment loan industries is a step in the right direction, the solution for curbing this kind of crippling debt is to be informed about the money that your are borrowing. Crunch the numbers and know how much the total loan will cost you. Before you use any financial product, know there are alternatives to payday loans to avoid high cost lenders and overwhelming debt. If you’re already struggling to deal with high interest loan debt, there are options to get out of payday loan debt. Contact a Licensed Insolvency Trustee today to talk about how a consumer proposal or bankruptcy can help you get off the payday loan cycle. Everyone has in their mind that the guys using payday loan services are somebody in a minimum wage job or they’re on social services and they just – they’re really tight with their money. The truth is, it’s the middle class and they’re using it to bridge shortfalls in their cash flow. Every two years we compile data that identifies groups “at-risk” of filing insolvency. Update: By 2018 the average payday loan debt ballooned to $5,174 per insolvent debtor. almost everyone that had that type of loan already has payday loans as well. So, it’s not that they’re using it as an alternative, it’s in addition to [existing payday loans]. Update: our most recent study of payday loan use among insolvent borrowers showed that use of higher dollar AFS loans from payday lenders (defined as loans $2,500 or more) among our clients increased to 15% of all payday lender loans in 2018 from just 1% in 2011. The increased use of these high cost lines of credit and installment loans among those with low credit is of significant concern to us. What are possible solutions for regulating alternative lending? Hoyes Michalos recently submitted a summary of our concerns and recommendations about Alternative Financial Services products and lending services and how better to protect consumers to the Ministry. We addresses specific topics questioned by the Ministry. 1. Micro-lending: The lending of small amounts of money. Pros: It offers borrowers the relief that they need to make ends meet without being turned down by traditional services. Additionally, the risk for paying high interest on larger loans decreases. Cons: Funding this type of lending is difficult.The amount of revenue that lenders would receive does not make this kind of service worth the cost. 2. Peer-to-Peer Lending: An individual with money lending to someone who needs a loan (i.e. through a website). Pros: Accessible loans that are negotiated between individuals. Cons: Lenders need to be able to afford to take the loss.These loans include high interest rates due to the risks associated with this kind of lending. For borrowers, the risk of a lender becoming aggressive increases because the money is being loaned by an individual, not a regulated company. 3. Cap on fees charged by lenders: In Ontario, lenders can charge $15 per $100 borrowed. Pros: The cap decreases the amount that lenders can charge but at $15, it would not decrease the availability of payday loans. Cons: If capped too low, it may push lenders back underground so that they cannot be regulated. Even if the cap was set at $12 for every $100 borrowed, the interest rate would still be as high as 275% over a year. This solution alleviates a symptom and not the overall problem. 4. Lending Database: Everyone who receives a payday loan is entered into a database and cannot take out a second loan within 30 days of the first (as an example). Pros: Borrowers are logged and a cap is placed on the amount of loans that a person can take out at one time. Cons: Does not address the initial need to take out the loan and use the service. This kind of regulation could cause lenders to go underground where as we’ve said it will become unregulated. 5. Requirement to explain the cost of a loan in real dollars (instead of percentages). Pros: Consumers become educated about the amount of debt that they are incurring. It may scare some borrowers into using better financial supports. Cons: People may not understand the implications of $15 per $100 borrowed and may feel that they can service the loan anyway. Payday loan and AFS products should be included as part of the current credit reporting system. We recommend that payday loan and AFS lenders be required to report all lending activities to the major credit reporting bureaus and review a person’s credit report prior to advancing funds. Lending practices should require that the consumer demonstrate their ability to repay the loan. AFS and payday lenders should be prohibited from using introductory teaser rates. Overly indebted, repeat borrowers should be provided with information on all their debt management options including a consumer proposal and bankruptcy. 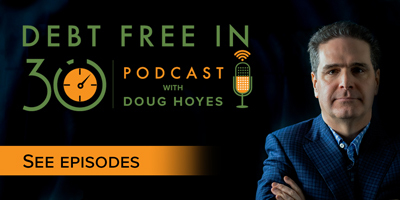 Doug Hoyes: I’m Doug Hoyes and this is the first show of season number two of Debt Free in 30. As I said back on our very first show a year ago, the goal of this show is to present the viewpoints of many different experts and hear their thoughts on becoming debt free. We’ve had a lot of great experts during our first season and we have a lot more great guests lined up for season number two. So, if you’re listening to this on the radio, make a note of the time and station because we’ll be here at the same time, same place every week. If you’re listening on the podcast, that’s great, these shows are available for download on iTunes or whatever podcatching app you use, they’re ready every Saturday morning at 8am. My first guest on that first show and my most frequent guest in season number one was Ted Michalos, my Hoyes Michalos co-founder and business partner. On that first show Ted went off on a rant about payday loans. So, now that a year has passed, Ted is a year older, a year mellower, so I want to start the show by welcoming Ted back and asking him if he’s mellowed out at all when it comes to payday loans. Ted Michalos: Oh yeah, well payday loans are the product of the devil. They’re the worst things that have ever been invented by mankind. Is that more mellow than last year? Doug Hoyes: So, I will take it that no, you haven’t quite mellowed out. So, but that’s good because I want to start season number two, this is show number 53, with your comments on some of these alternative lenders that are out there. So, here in Ontario we have something called the Payday Loans Act and there’s something else called the Collection and Debt Settlement Services Act and I’ll put some links to this in the show notes. The Ministry of Government and Consumer Services spent the summer consulting on ways to protect consumers who use high-cost financial products that are outside of what you’d find in a traditional bank. So, start me off Ted by explaining what kind of services are they talking about? What kind of alternative services would be outside of a traditional bank? Ted Michalos: Yeah, so the name alternative services usually applies to things like payday loans, fast cash installment loans, rent-to-own companies. These are people that are providing you with cash at very expensive interest rates, but it’s very easy to access the money. Doug Hoyes: So, high interest but easy to get to. So, back in July you attended a meeting with some Ministry officials to give your thoughts. So, tell me a bit about that meeting, who was there, how did it work? Ted Michalos: It was quite encouraging actually. The ministry set up a series of, it was either six or seven public consultations across the province, and Guelph was selected as one of the cities. There were about two dozen of us in attendance. The majority of the attendees were from social service agencies. So, the poverty task force, the credit counselling agencies in the area, low housing, that sort of thing. The folks that deal with the members of our community that most people perceive as being at-risk, the low income users because these are heavy users of alternate financial services. Doug Hoyes: So, now you said “perceived”. The people who are “perceived” as being most at-risk are the people who are low income earners. But I assume because you used the word perceived, that’s not actually the reality. Ted Michalos: That’s right. One of the bits of information that I brought to the table, that the Ministry wasn’t aware of, was the heaviest users of payday loans and alternate financial services are the middle class. Intuitively that makes sense, they’re the people that – well they’re most of us, right? There are more middle class people than anything else. Everyone has in their mind that the guys using the payday loan service are somebody in a minimum wage job or they’re on social services and they just – they’re really tight with their money. The truth is, it’s the middle class and they’re using it to bridge shortfalls in their cash flow. Almost ways they’re servicing – they’re borrowing the money to pay debts, which just makes no sense. Doug Hoyes: Well and so frequent listeners to this show will know about our Joe Debtor study that we released back in May and one of the items we talked about in that was payday loans. So, we discovered exactly what you just said that people who are struggling are increasingly turning to expensive, crippling debt options; things like payday loans, fast cash installment loans, high-risk vehicle loans, that sort of thing. Give me some numbers. So, from that study prove to me what you just said. How many people are using payday loans? What kind of dollars are we talking about? Give me some numbers. Ted Michalos: Okay, so let’s refresh everybody’s memory. We do that study every other year. So, every two years we update what we consider the trends in people’s borrowing and the folks that are running into financial difficulty. So, the most telling statistic was two years ago, 12% of all the folks who came to see us were using payday loans. This year when we reissued our report it was 18%. The average amount of loan value or the total balance that people are carrying is more than the average take home pay from the folks in our study. So, the average person that comes to see us makes $2,500, $2,600, the average loan balance for payday loans $2,700. I mean, the math just doesn’t work. Doug Hoyes: Yeah and going from 12% of the population to 18%, that’s a 50% increase. Doug Hoyes: Fast cash installment loans. Doug Hoyes: And that’s just a name we made up. It’s so new it doesn’t even have a name. Ted Michalos: These are the guys where you can go on the internet and you can borrow money and repay it over a period of time. What we found is, two years ago, 1% of the people that came to see us had these type of loans, now it’s 5%. And almost everyone that had that type of loan, already has payday loans as well. So, it’s not that they’re using it as an alternative, it’s an addition to. Doug Hoyes: And you said earlier that convenience plays a big part of that. Is that really what this all comes down to? Ted Michalos: It does. What all the other attendees at that July meeting brought to me was that their clients that use these type of services tell them the hours are better, they’re very friendly, they make it easy to borrow the money; it’s only when you miss your payments that they become unpleasant. And I guess that makes sense. They’re looking to – they’re marketing a service to people that are in need of something immediately. So, maybe they’re not thinking this through as well as they should. Doug Hoyes: And so you go to a traditional bank. They’re going to put you through all sorts of hoops where these guys, “oh yeah no problem, we can get you the money”. So, finish up on the numbers then for me. So, you said that 18% of the people that we deal with are now using payday loans or these other high-risk, high interest loans. The average debt size is now up to $2,750. So, what’s the average loan size that we’re talking about? How many loans, how many payday loans does the average guy got? Ted Michalos: The average loan balance is about $800. And most of the people that are in these situations have three and a half loans. Doug Hoyes: Which is where the $2,800 comes from, then. Ted Michalos: That’s right. I mean what’s interesting is if you look at the total debt load for the people that are the heaviest users for payday loans, it’s actually lower than most of the people that come see us. I don’t want to get off on too much of a tangent here, but the average credit card debt for everyone that comes to see us is about $21,000. For the payday loan people, it’s about $7,000. So, it’s a third. But, because they have these high payday loan balances, their cash flow is actually worse because servicing those payday loans takes up to 50% of their pay every month, just rolling them over, which is what most people do. Doug Hoyes: I want to get into a detail discussion of the cost of these things and maybe we’ll do that in the second segment. So, finish off the profile for me then. You said at the start that it’s the average guy who’s using these; it’s not the poorest of the poor who we would all think. Tell me a bit about the ages of people who use payday loans. Tell me about how does that all break out? Ted Michalos: So, our study is based on an analysis of over 6,000 clients. So, it’s statistically accurate, if that makes any difference to the people. Doug Hoyes: So, it’s a big population. Ted Michalos: It’s a big population; it’s not some random thing. So, the youngest segment – let’s call these the under 30 crowd – have the lowest total balance, about $2,400. Makes sense, they’ve got the lowest income, they also have the lowest debt levels for each of the segments of the population that we see. It gets progressively larger at each 10 year interval. So, the under 40 crowd, it’s $2,700, the under 50, 28, under 60, 28 as well and then the scary one, 60 year olds and older, $3,700 average payday loan balance if they’re using payday loans. Doug Hoyes: So, seniors have the highest amount owing on payday loans. Doug Hoyes: And you’re right, that’s scary cause if you’re a senior, and we define seniors as people 60 years and over, so a significant proportion of those people are retired, in fact 62% of the people are retired. Ted Michalos: That’s right; they’re pensioners on fixed income. So, they’re never going to get that third paycheque that a lot of the middle class folks count on to pay off their payday loans. They know they’re getting the same amount of money every month. So, if they’re getting payday loans it means they’ve got less money available to pay for other things. Doug Hoyes: So, the highest dollar value owing is with the seniors, but in terms of the percentage of people who use them, it’s the younger people, the 18 to 30 crowd. There are more of them who have them; they’re just a lower amount. Doug Hoyes: So, it’s whacking both ends of the spectrum, then. Doug Hoyes: It’s a very persuasive problem. Well, you talked earlier about the fact that the cost of these things is the real big issue. So, I want to get into more detail on that. We’re going to take a quick break and then actually breakdown how expensive these things really are. Because it’s a lot more than you think if you don’t crunch the numbers. So, we’re going to take a quick break and be back right here on Debt Free in 30. Doug Hoyes: We’re back here on Debt Free in 30. I’m Doug Hoyes and my guest today is Ted Michalos and we’re talking about alternative forms of lenders and in particular we’re talking about payday loans. So, before the break Ted, you made the comment that the average loan size for someone who ends up filing a bankruptcy or proposal with us, is around $2,750 of payday loans. Ted Michalos: That’s total balance owing. Doug Hoyes: Total balance owing if you have payday loans. And that would represent about three and a half loans. That doesn’t sound like a big number. Okay, so I owe two or three grand, whoop de doo, the average guy who owes credit cards has around well over $20,000 of credit card debt. So, why are we worried about that? Well, I guess the answer is, it’s much more expensive to have a payday loan. Ted Michalos: That’s exactly right. What people don’t fully appreciate is, the law in Ontario says they can charge a maximum of $21 per $100 for a loan. Now people confuse that with 21%. Most credit cards are somewhere between 11% and 29% depending on the deal you’re getting. So, if you owe $100 on a credit card over the course of a year you might pay somewhere between – well you might pay $20 worth of interest. With a payday loan you’re paying $21 worth of interest for the week of the loan. Do the math. Doug Hoyes: So, let’s do the math, then. So, $21 per every $100 you borrow is the maximum. So, if I borrow $300, let’s say, for two weeks, I’m going to have to pay back $363. So, I’m going to have to pay back 21 times 3. So, one loan costs me $63, two loans cost me $126, four loans cost me $252. Well, okay so again that doesn’t sound like a big deal. So, I borrow $300 I have to pay back $363. Ted Michalos: But the average balance is $2,700. So, 27 times 21, $550. Doug Hoyes: And that’s in two weeks. Ted Michalos: That’s in two weeks. Doug Hoyes: If I have to go back and borrow and borrow and borrow, I guess if I’m getting a loan every two weeks, then that could happen 26 times during the year. Ted Michalos: The Ministry has calculated that the interest rate is something like 548%, annualized. Doug Hoyes: 548%. Well, and I guess that makes sense because I’m paying that $21 on every hundred, not for the whole year, but for two weeks, you multiply it by 26, then it’s not hard to see that 500%. So, the difference then between $2,750 worth of payday loans and $20,000 of credit card debt, it’s – I mean you’re paying roughly the same amount of interest in both of them aren’t you? Ted Michalos: Correct but you have nine times as much debt as the credit cards. Doug Hoyes: So, even though credit cards are a very expensive form of borrowing. Ted Michalos: We don’t recommend that. Doug Hoyes: No. We’re not saying go out and get a credit card. But, the payday loans are so much worse. Ted Michalos: So much worse. I mean it’s not even the same – you can’t compare them. It’s not apples to apples, it’s apples to watermelons. Doug Hoyes: And so, say it again, why then, if it’s costing me 500% a year to borrow at these things, why are people getting payday loans? Ted Michalos: Well, so the most common reason is they can’t qualify for credit anywhere else. So, you’re going to have a hard time for a bank to approve you for a $250 or $300 loan. And they certainly aren’t going to approve it for two weeks. You can get overdraft at a bank and we’ll talk about that one day cause it’s ridiculously expensive too, but no worse than credit cards. The payday loans are convenient, they’re easy to get to, their hours are great; they make it very easy to borrow. They’re not intimidating, they’re friendly, they’re interested in inviting you in so you will borrow from them. Banks are, well banks are banks. They make it seem like they don’t really want your business. I’ve never quite figured out banks. Doug Hoyes: Yeah, well they’re more about the big fancy building and showing that they’re secure rather than treating you nice. And I guess this whole new area of internet lending, so now, I don’t even have to go into a bank. Ted Michalos: That’s right. I can do it in my pajamas in the middle of the night. I can tap in and borrow money at ridiculous interest rates. Better than payday loans, much worse than a credit card or lending from a bank. Doug Hoyes: But it’s very convenient cause I don’t even have to leave my home. An hour later the money’s sitting in my bank account, what could be better? Doug Hoyes: So, okay, we understand the problem. There’s massive interest on these things. It’s hurting the people who can’t afford it; it’s people who can’t borrow in any other venue. If I can go to the bank and get a $10,000 line of credit at 4% interest, I guess I’m not too worried about getting a payday loan. It’s the people who don’t have any alternatives. So, you were at this meeting with the Ministry back in July, what kind of suggestions are there to deal with this problem? What I’m going to do is I’m going to throw out some ideas and you tell me if they’re brilliant or not. So, you just said that I can’t go to the bank and borrow $300. Well maybe what we need then is some kind of micro lending system. Ted Michalos: And there was a great deal of discussion about that. The question with micro lending is, who’s going to fund it and actually cover the administration costs? One of the examples in Guelph as an agency, a social service agency, has worked it out so that a credit union will be giving micro-loans to persons who want to start small businesses. And there was a lady in the room who had borrowed $1,000 to buy a computer; she’s going to start doing some work. The problem with this kind of thing is that commercially they don’t make a lot of sense. If the not for profit wasn’t guaranteeing the loan and underwriting the administrative costs, the credit union couldn’t afford to do it. I mean the credit union’s in business to make a profit for its membership so that they can reduce costs and return some money on the money that you have deposited. A regular bank isn’t going to do this unless somebody also is going to somehow cover their costs. I mean, a bank is quite happy to lend you $20,000; they won’t lend you $5,000. The administrative costs to do both programs are the same, but if you break it down over $20,000, it’s much more manageable. $5,000, the fees just get ridiculous which is why the banks say they don’t do it. Well, these micro-loans have the same problem. The strange thing about the micro loans is these are the programs that we’re doing in Africa and in South East Asian to try and get their economies going. Now we’re talking about is there a way that we can do them here? Doug Hoyes: Yeah, so we’ve helped out the other countries, but we haven’t helped out ourselves. And you’re right; the math doesn’t make sense on a $300 loan, even if the bank can charge 10% interest over the course of the year, what’s 10% of $300? Ted Michalos: And it costs the bank probably $500 to set up all the systems and everything to monitor that loan. I mean it just doesn’t make economic sense because of the cost of doing business here. Doug Hoyes: So, micro-lending is a good idea if we could figure out how to do it. Doug Hoyes: And perhaps that’s something that has to be either subsidized or it has to be a not-for-profit type venture. Ted Michalos: Yep. And they talked about that, municipal bonds where the money is put into a pool. My concern with all of those types of programs are, is that they tend to get out of hand and you end up eating up more and more of the money because from administrative costs. And that’s not a dig at our social system, that’s just the reality. The longer you have a program in place, the more expensive it becomes to administer. Doug Hoyes: Yeah, the one thing you got to say about the banks is they know how to make money. Ted Michalos: They can turn a nickel into a dime. Doug Hoyes: That’s right, or a quarter in most cases. Your average big Canadian bank right now has profit of about a billion dollars or more every quarter. So, if they could figure out a way to make micro-lending work, they would. Obviously, they have not quite got to that point. So, what about peer-to-peer lending then? This is a new thing that’s come out where you got somebody who’s got money, somebody who wants money and perhaps through the internet, a website, whatever, you can put the two of those together. Is that a good idea? Is that something people should look at or is there dangers in that as well? Ted Michalos: Well so from the lender’s perspective, the concern is you’ve got to be pretty sophisticated and be able to afford to take the loss before you’re going to lend this kind of money. There are risks associated it which is why the interest rates are higher. So, if you’re going to get into this type of business and you’re looking for a reasonable rate of return, you’ll probably charge them some pretty high interest. From the borrower’s perspective, these things sound like a great deal but it’s buyer beware. Somebody willing to lend you $1,000 for 30, 60, 90 days is expected to make $1,200, $1,300, $1,400 back. And if you’re not able to repay it, they’re going to be more than a little aggressive in trying to recover their money. Doug Hoyes: So, buyer beware, that’s a very good summary I think of where we have to come out on that. Good, well those are some good tips. We’re going to take a break and for those who are listening on most of our radio stations and most of the internet, we’re going to have a Let’s Get Started segment where I’d like to talk about another couple of rules. So, we’ll take a break and come back with that. You’re listening to Debt Free in 30. Doug Hoyes: It’s time for the Let’s Get Started here on Debt Free in 30. I’m Doug Hoyes. My guest is Ted Michalos and we’ve been talking about alternative lenders. We’ve talked about the fact that payday loans are very expensive, fast cash loans very expensive. Okay, so what else can people do? We talked about micro-lending; we talked about peer-to-peer lending. One of the proposals and this is already happening in Manitoba, is to put a cap on the fees that they can charge on a payday loan. So, in Ontario right now, a payday lender can charge up to $21 for every $100 borrowed. In Manitoba the limit is $17 for every $100 borrowed. Is that something that should be considered or is that a drop in the bucket? What do you think, Ted? Ted Michalos: Yeah, the real trick to this is how little interest can you allow them to charge and they’ll still stay in business. Payday loans have been around forever. They used to be the guy on the shop floor. You got short, you’d go see Lenny. Lenny loaned you $100 and on payday you’d give him back $120. Well, they brought them into the light so to speak. So, we’re in the marketplace, it’s a storefront you go into. Everybody can see it because they’re making a decent return. At $17 a $100 I believe they haven’t seen any decrease in availability in Manitoba. If you drop it to $12 at what point do the guys just go back underground again and we don’t know what the hell’s happening? And it’s still a ridiculous amount of interest if you think about it. At $12 it’s still going to be 275% interest over the course of the year. If you get your head around this, they’re just a bad idea. We need to find a way to do away with the need for these things. Doug Hoyes: So, whether it’s $21 or $17, we’re looking at the symptom, we’re not alleviating the problem. Ted Michalos: That’s right; it’s a drop in the bucket. Doug Hoyes: So, we need to find a way to get away from the need for these things. Okay, what’s the answer to that, then? Ted Michalos: If I had that answer I’d be a very rich fellow wouldn’t I? Doug Hoyes: And that’s the problem. Just in our society today, where borrowing is so prevalent there really is no simple, easy answer. What about capping the ability or making repeat loans have to be at a lower rate? So, right now in Ontario you’re not allowed to cycle one to another loan. Doug Hoyes: So, what I do is I go to company A and I get the loan and I then I go to company B to get another loan to pay off company A and I just keep going from company to company. If we had a rule that said okay you can go back to the first company for another loan, but the interest rate keeps dropping with every subsequent loan you get. So, it starts at $21 then it goes to $17, then it goes to $15, is that a good idea or is that yet another drop in the bucket? Ted Michalos: So, on the surface that sounds like a good plan. It forces people – well people that are already in the system, it becomes less and less expensive, less attractive for the lender. The question is at what point does the lender say, well again, now it’s not worth me lending so I’m not going to renew your loan, which creates a problem. And your solution’s going to be to go to the guy down the street to start back at the $21 again. So, in of itself, this won’t solve the problem. It’ll just cause the loans to get moved around. Doug Hoyes: So, what about if we had a massive database of everybody who gets a payday loan and you can’t do a second loan within 30 days of the first one or something like that? So, every loan gets plugged into the same database, and that way, you’re discouraging or making it impossible for people to get a second loan. Ted Michalos: Yeah, this one sounds like it has some promise, they’re trying it in a couple of the U.S states. I don’t think it’s in Canada yet. The cost of administering this sort of program we were told by the Ministry folks, a buck, a buck, a buck and a half a loan. And so, the question is where’s the best infrastructure for doing this? And it doesn’t address the underlying concern that there’s a need for the loan and for the service in the first place. So, it’s great we can stop you from going to that storefront and borrowing that second loan until you’ve been 30 days out of the new one, but that just means Lenny on the shop floor’s going back into business. Doug Hoyes: So, you’re driving all these people underground again. Doug Hoyes: Yeah, so you’re actually making things worse by perhaps doing that. Doug Hoyes: So, what about very simply making a requirement that the cost of the loan has to be explained in dollar values instead of percentages. Ted Michalos: Yeah and that probably makes the most sense. I mean there are Ministry posters now that are required to be put in these businesses. I haven’t seen one cause I don’t think I’ve ever been in one of these shops. And I think I’m going try this to see just how bad they really are. But the thought is that the people who need this money are so desperate that they’re in panic mode. Even if you hit them over the head with it, they’re not going to realize that, you know, it’s 550% interest for the course of the year. Okay, it’s $21 on $100. I honestly think I’m going to be able to pay this thing off before the next payday. They don’t realize there is no way off the treadmill. You’re just going to renew this loan over and over and over again. Doug Hoyes: And so if we said this is a loan at 500% interest rate would that change anything? Ted Michalos: It might scare some of them. Again, anytime you scare them out of the store, I’m concerned that they’re going back to Lenny. Doug Hoyes: And I guess you worry, I mean, we’ve had warning labels on cigarettes for years and years but people still use that product, too. Ted Michalos: That’s right. It’s less people, but the ones that are using it are using it more heavily. So, what’s the point? Doug Hoyes: So, it’s potentially a solution. Well, I guess the point is there are a lot of different alternatives, there is no one quick solution to this, other than getting your finances in order, living by spending less than you bring in and as a result you don’t need to resort to these things. Ted Michalos: Yeah, financial literacy. Know what you’re doing with your money. Understand what interest actually costs you and try to be more careful. Doug Hoyes: Excellent. That’s a great way to end it and thanks Ted. Doug Hoyes: Welcome back, it’s time for the 30 second recap of what we discussed today. On today’s show Ted Michalos reported on his meeting with the Ministry of Government and Consumer Services, as they look for ways to protect consumers who use high cost financial products. Ted explained the high cost of payday loans and discussed alternatives to high cost lenders. That’s the 30 second reap of what we discussed today. So, what’s my take on this? Well, as I mentioned at the start of the show this is the first show of season number two and the 53rd episode of Debt Free in 30. My goal when I started this show was to present practical strategies for living debt free. And there’s no doubt that avoiding high cost loans is of critical importance. It’s almost impossible to pay off debt if you have a payday loan with an annual interest rate of 500%. We talked about some possible solutions, but I’m not convinced that more government regulation will solve the problem. In Ontario, a payday loan company can charge $21 for every $100 borrowed. We can follow Manitoba’s lead and reduce that to $17, but that’s still a massive amount of interest. The government could create a database of all payday loan lenders to prevent repeat loans within a certain time period, but would that solve the problem? Or as Ted suggests would that just drive this type of lending underground, into the shadows? And how do you regulate interest rate lenders that aren’t even in Ontario or even in Canada? Again, if the regulations are too onerous, current high cost bricks and motor lenders in Ontario may just get replaced with internet based lenders that are almost impossible to regulate. Ultimately, the solution lies with you and me. We have to be fully informed before we sign on the dotted line for any financial product. Ask questions, calculate the true cost of borrowing and don’t make rash decisions. Speak up. If a friend or family member is getting high interest loans, help them calculate the true cost and explain to them their alternatives. If we all stopped going to high cost lenders, they’d all go out of business. Problem solved. That’s our show for today. Full show notes are available on our website, including an explanation of alternatives to payday loans. So, please go to our website at hoyes.com, that’s h-o-y-e-s-dot-com for more information.